As the founder of this site, may I thank all the people who supported my efforts as Association Site Editor during the period from 1998 to 2004. I wish the new official site every success for the future. In the meantime, and since I am no longer a member of the 100 Squadron Association, I am going to continue this site as a private venture. Much of the content on this site is of an historical nature and represents almost six years of work. I feel this is too valuable to lose and I hope that readers will understand. 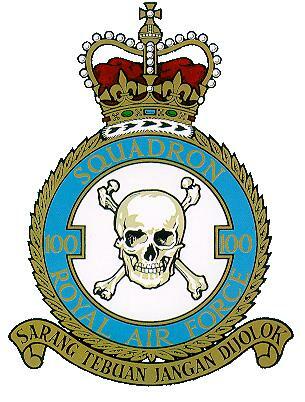 Nothing on this site is intended in any way to represent the views or policies of the 100 Squadron Association. Hello there! I happen to be one of the staff organizers of CabalArticles, a famous web writing company. We write content in English and Spanish for multinational online readers, and are at your disposal for article content creation for your blog. Below you will find my CV, and of course you'll be able to see other staff organizers and team members' CV's on this web site. At the end of my CV, you'll view some examples of our posted works. For work requests, please mail us with the form on this site and we'll follow up as soon as possible. In charge of setting up a international team of freelance writers to fit a demanding set of growth goals.